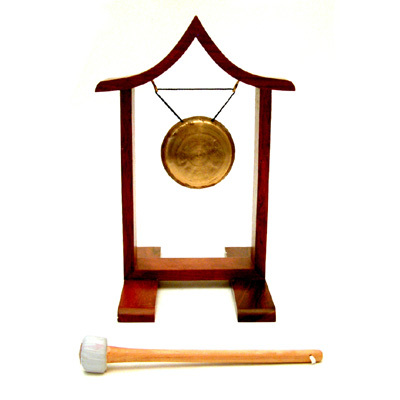 A decorative small brass gong on an arched wooden stand. Supplied with mallet. Gong Diameter: 9 cm. Stand Height: 34 cm.